Some musicians from the '90s managed to build empires on that sweet, pre-millennium fame, and are still around today. Justin Timberlake, somehow, launched himself into superstardom though the rest of *NSYNC was not so lucky. Britney Spears will be an icon until the end. Who would have thought the girl from "...Baby One More Time" would now be a fragrance magnate with a Vegas residency? Beyoncé... I don't need to tell you about Beyoncé. She will be here long after the rest of us are gone. But unfortunately, like MTV's Spring Break and the TGIF lineup, there are some '90s musicians who just fell off of the map or faded into obscurity, and it's a little wistful, because their songs were amazing. If only they had had better luck. So, let's pay homage to some of those singers and groups that gave us the gift of song and then faded away until all that was left was a YouTube video. Lift your lighters up, add them to your '90s playlists, and try not to get too sad thinking of a time when you thought that JC Chasez was definitely going to have the biggest *NSYNC breakout career (just me?). You'll definitely remember their songs, so sing along so that their careers were not in vain! If you still find yourself singing with passion every once in a while, "I'm a b*tch, I'm a lover," you can thank Meredith Brooks for that. The 1997 song from Brooks was a huge hit, and how could it not be with that incredible first line: "I hate the world today." The song earned her a Grammy nomination in 1998. After that, Brooks put out a few albums, Deconstruction and Shine, but neither of them did very well. We'll always have "B*tch," though, and we will not feel ashamed. "Crush" from Jennifer Paige seemed like a sign that we were going to see more of this breathy pop star, but no such luck. After the song debuted in 1998, Paige couldn't match its success with her next three albums, Positively Somewhere, Best Kept Secret and Holiday. With bops like "Don't Walk Away" and "I Wanna Love You" and also notorious for their killer style (especially those box braids), it seemed like Jade was going to stick around for quite a while. But after their first hit album Jade To The Max in 1993, they got lost in the shuffle. In the late 1980s and early 1990s, Taylor Dayne and her iconic crimped, teased hair became a pop icon, with a string of hits including "Love Will Lead You Back," "Send Me A Lover," and "I'll Wait." Her 1993 album Soul Dancing was her last super successful venture, but Dayne should always be remembered as one of the pop giants of the 1990s. Especially because she's definitely got the look. 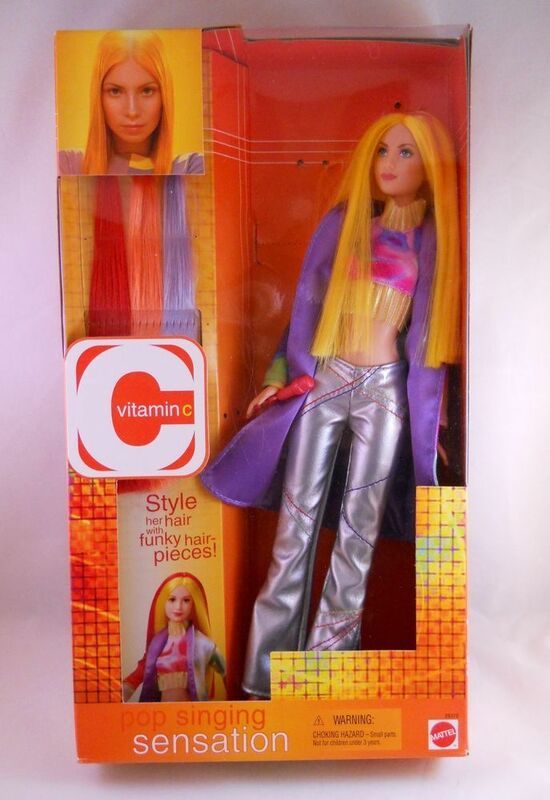 AS WE GO ON, WE REMEMBER, ALL THE TIMES WE HAD LISTENING TO VITAMIN C. The electric orange-haired singer's first, self-titled album had huge hits in "Smile," "Me, Myself, & I" and of course, "Graduation (Friends Forever)." There was a doll made in her likeness! Unfortunately, Vitamin C's next album "More" in 2001 couldn't match the success of her first. What's going on?! It's that question everybody should be asking about Natalie Imbruglia, who gave us the exquisite "Torn" in 1997. Left of the Middle was a huge success, but the albums afterward couldn't hold a candle to "Torn." She did some acting in films like Johnny English and was a judge on The X Factor UK and The X Factor Australia, but she'll always be remembered for being all out of faith. The Irish girl group had some of the best music to ever be featured in a Disney Channel Original Movie. Remember when their music videos were projected on the walls of Smart House? After only three years together and a string of bops like "Rollercoaster," "C'est la vie," and "Blame It On The Weatherman," the group broke up in 2002. It breaks my heart that the group behind "Where My Girls At" never had great success after that single, because god, what a song that is. The 1999 hit raised the bar too high for their subsequent singles and albums to compare, though they did write a song called "Pootie Tangin" for the Chris Rock film Pootie Tang, which isn't a bad thing to be known for. You may not know her name, but you definitely know her voice. Paula Cole is the woman behind the melancholy, dramatic theme to Dawson's Creek "I Don't Want To Wait," which is arguably one of the most iconic '90s theme songs ever. That song and her other hit, "Where Have All The Cowboys Gone?" were released in 1996, and though Cole has put out several albums since, she has never reached that Dawson's Creek peak again. A one-hit wonder duo that had one of the greatest, smoothest R&B tracks of the 1990s, "Swing My Way," the two Atlanta artists apparently only collaborated on that one, magical song in 1998. Cleopatra was comin' at ya! But then they didn't end up arriving, after all. Even though the girls made two great albums, Comin Atcha! and Steppin' Out in 1998 and 2000, and even had a TV show for a hot minute, they would never reach the success they found with "Cleopatra's Theme." This trio had three huge singles when they debuted their self-titled album in 1999, including the forever classic "Bring It All To Me," and were even an opening act on tour for *NSYNC. Unfortunately, the new millennium wasn't kind to the three girls, and they could never match the success of their first platinum album. They might not have made it into the aughts, but these singers are forever immortalized through their amazing music videos and, luckily, streaming services will let you relive those glorious, tattoo-choker wearing, Tamogotchi playing days by putting them on your playlist.